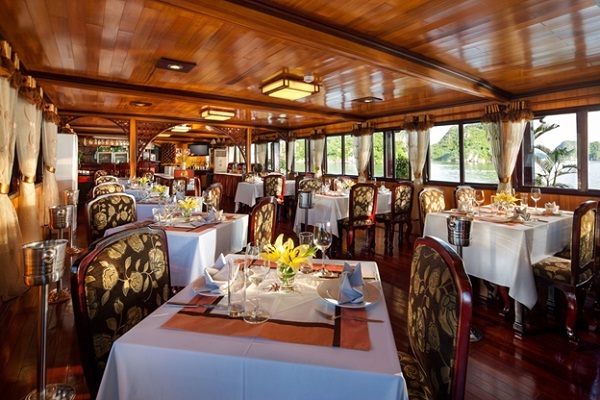 Victory cruise is the luxury traditional cruise in Halong. 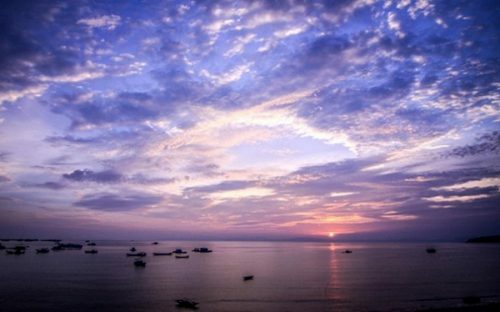 Launched in Sept 2007, Victory is in the early stage of building a brand of charm and luxury services in the World Heritage of Halong Bay. The design of Victory Cruise is combined between modern and traditional styles that make Victory Cruise Halong more luxury but still oriental. Inspired from traditional junk manufacturing, Victory Cruise is the symbol of Halong Bay’s legendary beauty. Tropical precious wood, fine arts decorations and a devoted staff will lead you to an amazing journey discovering Halong Bay. 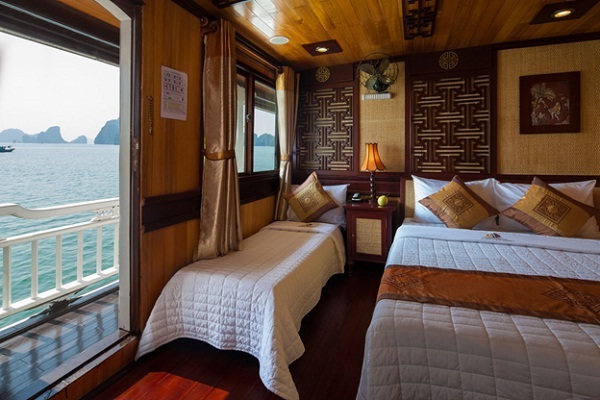 Victory Cruise included 21standard cabins, each of them are decorated with charming and meaningful accessories in order to enrich your stay in Halong. 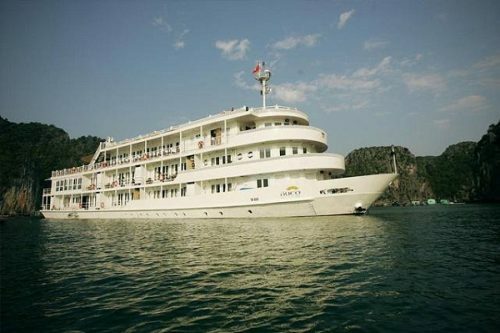 The Victory Cruise Halong has 02 deluxe cabin with double bed, 11 superior twin cabins and 08 superior double cabins. Along with the great facilities, Victory Cruise have special activities: small boats to explore the caves, sea kayaking, cooking classes, international wine tasting, and we can arrange special events from 2 to 42 people. 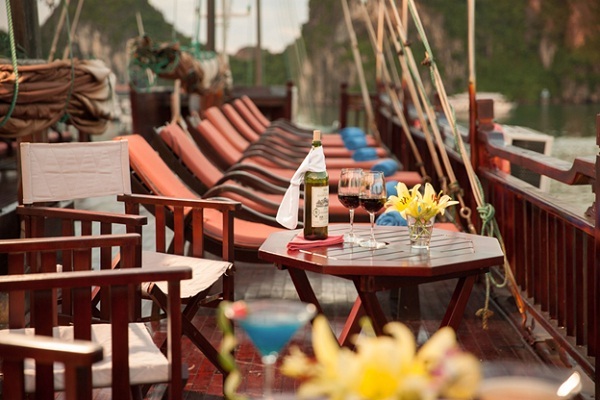 You will take advantage of the spacious sundeck to deeply breathe the fresh air of Ha Long Bay. 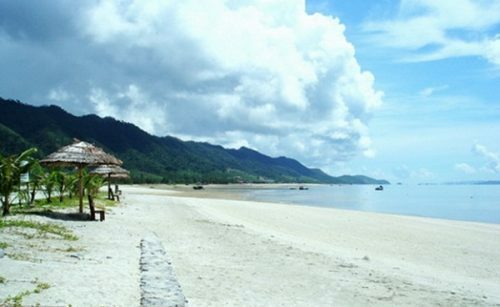 Just lie down on a coach to relax, admire the sunrise of a new day drinking a great Vietnamese Morning Coffee. Victory Cruise services are available such as Reception , Restaurant and bar, Karaoke, Massage and spa (on request), Service 24/24, Souvenir shop, Clothes shop, Luggage Protection, Customer Care, Internet at the lobby, Meeting organization, Tai Chi (at complimentary), Cooking class (on request), Tender, Tour guide in English, French, and Vietnamese, Kayak, Fishing (at complimentary).